A somewhat cryptic title to this post, I admit, which is due to the Potted Pig being located in what was previously the vault for the Lloyds Bank site (the topside part is now a Zizzi restaurant) just down from the Castle in Cardiff. 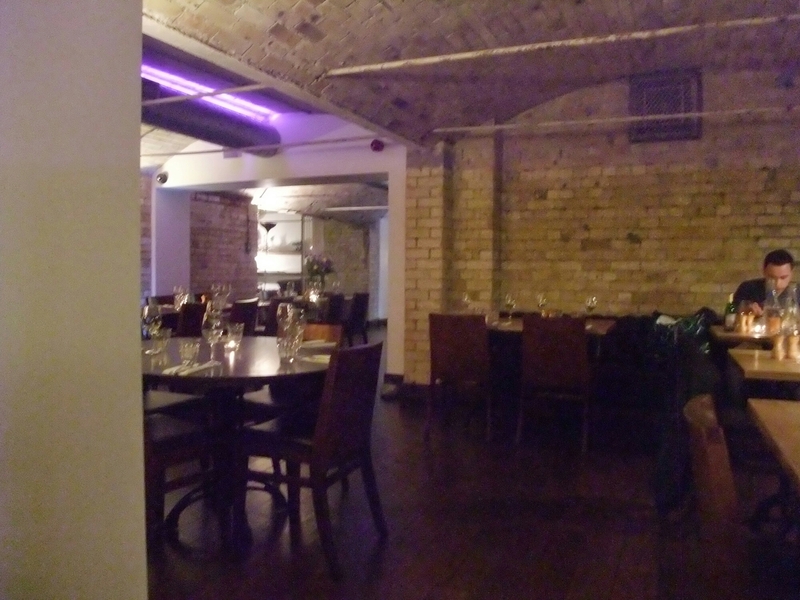 A rather unassuming entrance leads to a stairway down into the restaurant space with its vaulted ceiling. 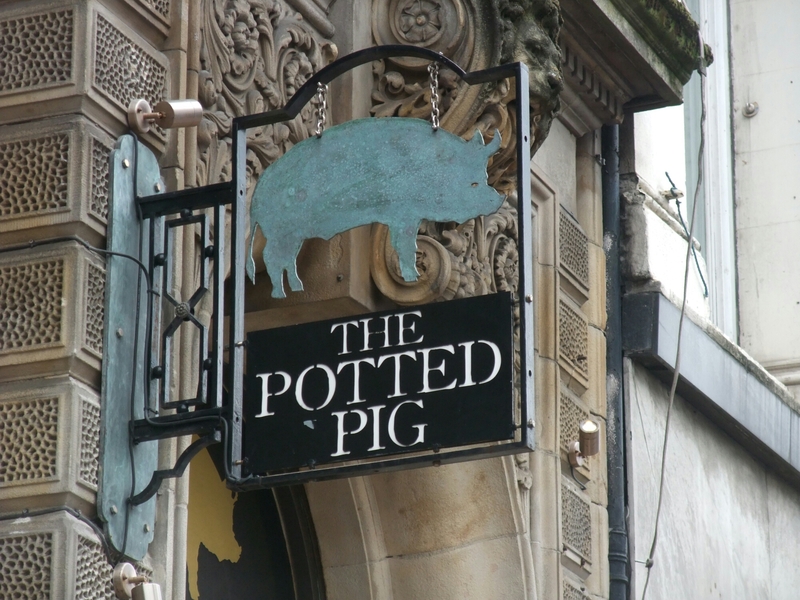 The Potted Pig opened in Cardiff a few years back to genuine delight, with a stonkingly good review from Jay Rayner following swiftly, and has seemingly settled down as one of the nicer places to eat in Cardiff. J and I have been for lunch there a few times and Mrs. SF and I have been for dinner a couple of times, but I have not been since I started this blog. It was therefore an obvious choice for lunch. 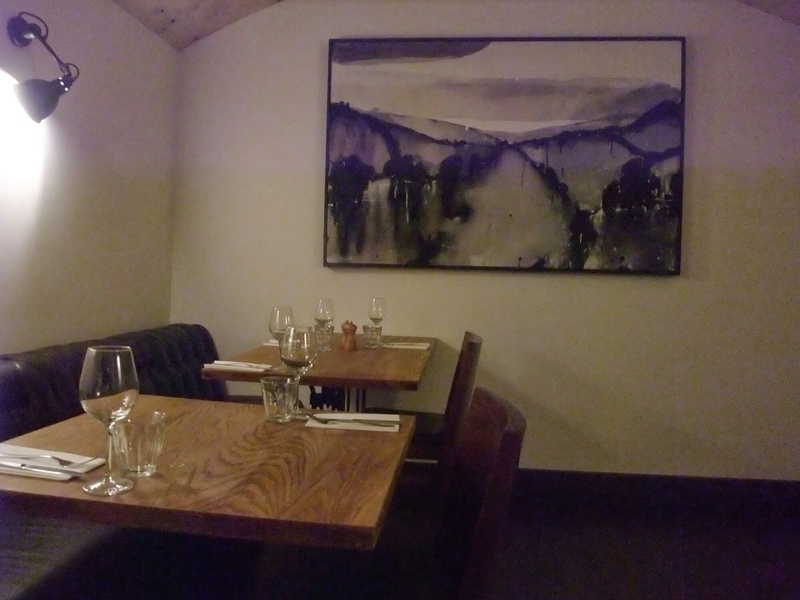 The lunch time offer (Tues – Sat) is 2 courses for £12 from a menu of 4 starters, 7 mains and 2 puddings (the a la carte menu is also available and items on the lunch menu can be ordered individually) which changes weekly. Whilst we perused the menu, J told me all about her hols in Portugal and the opulent villa she stayed in. Apparently it was like something from ” Keeping up with the Kardashians” . I am rather proud to say this caused me some confusion as I thought they were one of the baddies in Star Trek: Deep Space Nine. Apparently though that was the “Cardassian”, with the “Kardashians” being something entirely different, but seemingly equally horrific! Any kudos gained by me from not knowing who the Kardashians were was, I suspect, immediately negated by Star Trek geekiness on my part. On to the food, I was somewhat torn as to what to choose for my starter. Truffled welsh rarebit didn’t appeal (not in any way being sold by the addition of truffle oil) and the cauliflower and cumin soup didn’t take my fancy either. This left the ham hock terrine or the cockles, laverbread and bacon. As the place is called the Potted Pig it seemed churlish to not go for the piggy packed terrine. J was of like mind. 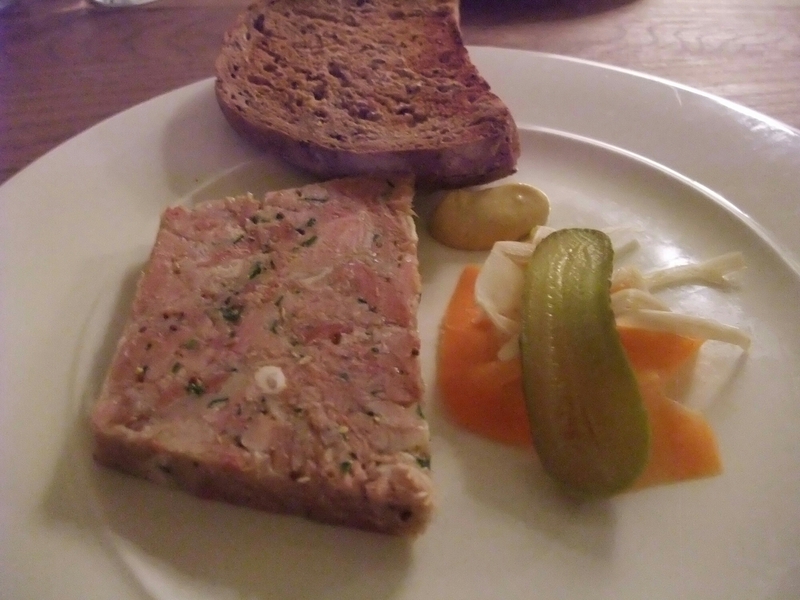 The terrine was very pleasant, with nice chunks of meat that were full of flavour (although curiously, for a ham based dish, if anything it was slightly under seasoned – I do like salt mind). I particularly enjoyed the pickled veg. 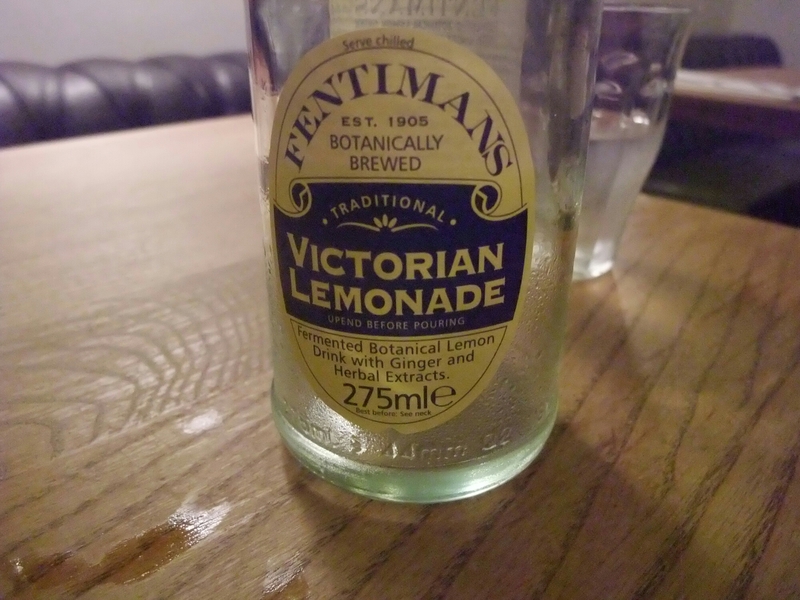 that came with it, which included some really good fennel – the anise and pickle flavours really worked well together. The pickled veg. also helped in cutting through the rich pigginess of the terrine and was so much better than the insipid salad garnish usually served with this sort of stuff. My only real gripe with this dish was the amount of bread that came with what was a sizable slab of terrine. If anything, the terrine outsized the accompanying slice of toasted granary bread. Why do restaurants do this? Surely the bread/cracker element of a terrine/pâte dish is the cheapest bit. Why then skimp on that element of the dish? Seems mad to me, but almost every restaurant does it, which means you either get left with loads of terrine/pâte and no bread/crackers to put it on or have to pile loads of the stuff onto what bread/crackers you get given. I was left with a fair bit of the terrine and no bread. Moving on to the mains, I was again in somewhat of a quandary as to what to choose. There was a Philly cheese steak on the lunch menu, which I love, but again I thought a pork dish was the sensible choice. 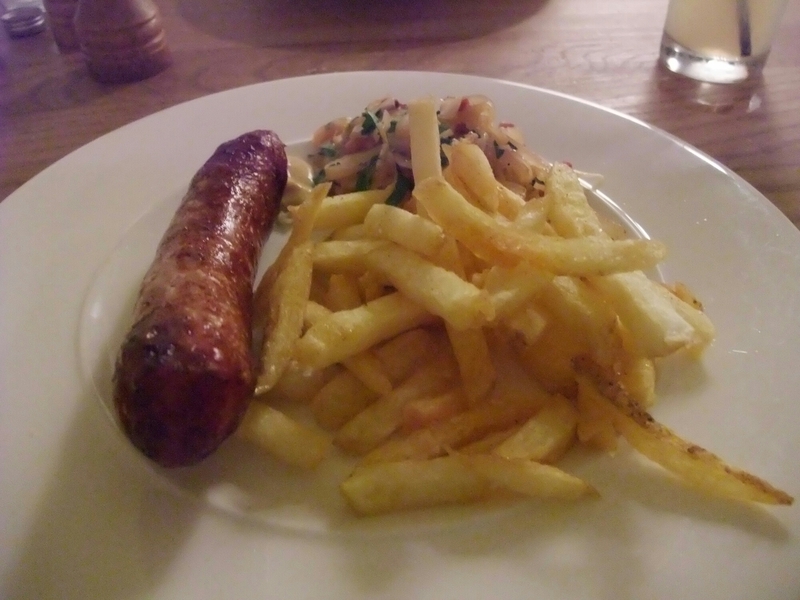 After humming and harring and almost going for the pork chop (J and I thought it a bit Sunday lunch), I settled on the Toulouse sausage, with cabbage, smoked bacon and homemade fries. J went for for the pan fried mackerel. My Toulouse sausage was suitably garlicy and had a good flavour to it. The cabbage was actually pickled white cabbage (in effect saurkraut). Whilst I love saurkraut (and this was good kraut) it is not to every ones taste so should probably been advertised as such. The plentiful home made fries were exemplary – piping hot, crispy and well seasoned. All in all a good dish you would be happy to be served as a “plat du jour” in France. Drinks wise, as it was a working day, we both had soft drinks and they have a nice selection of these so non drinkers don’t have to settle for boring cola. A decent sized gratis bottle of still water arrived at the table without us having to request it. Alcohol wise they have a decent enough list with a fair number of wines sold by the glass, including a Welsh white. Not the most inspiring of lists, but price wise it was not too bad on the mark up front. 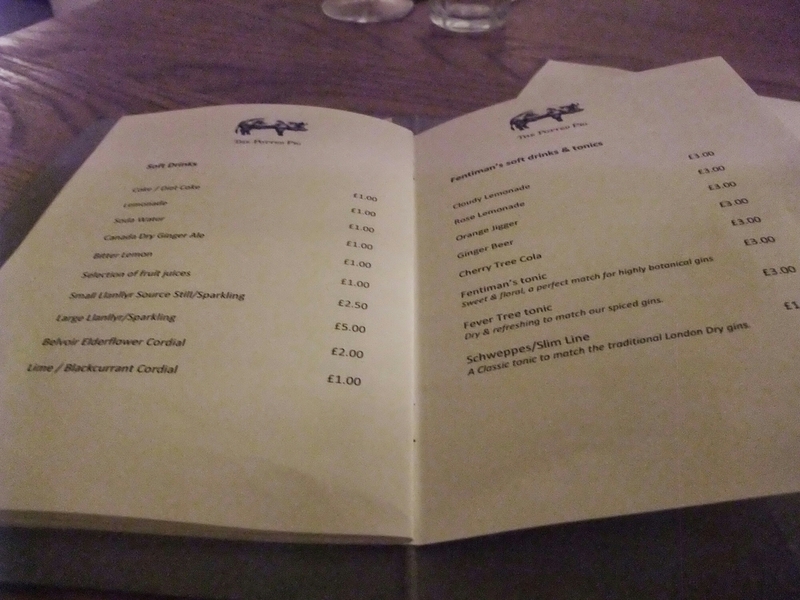 Also if you are a gin lover (I am and the Potted Pig people most certainly are) they have a great selection, which is helpfully split into various catagories (London dry, floral, fruity, aromatic & spicy, fresh & crisp, sweet and even after dinner gins). Who knew there were so many different types. Service was friendly and efficient and as such couldn’t be faulted. 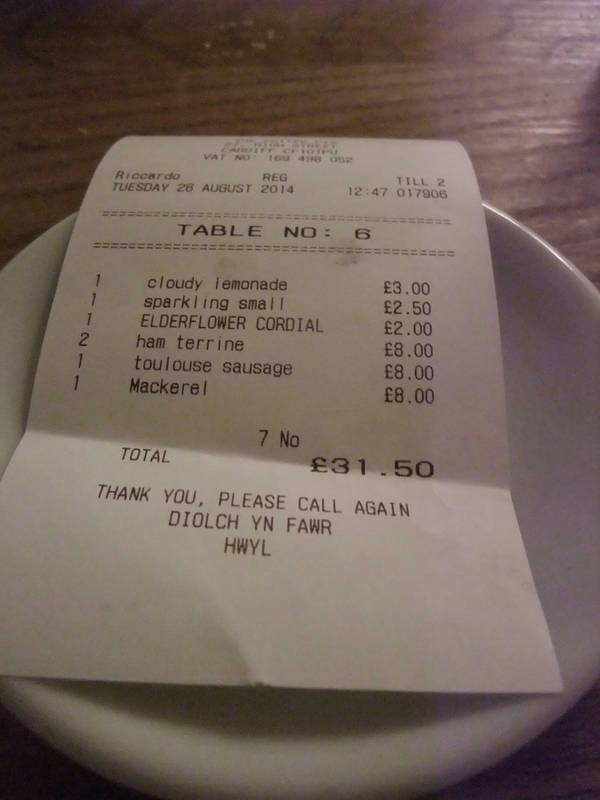 The damage was £31.50 which included a few soft drink but not a tip (we did give one). Not cheap for lunch, but pretty good value in my opinion. 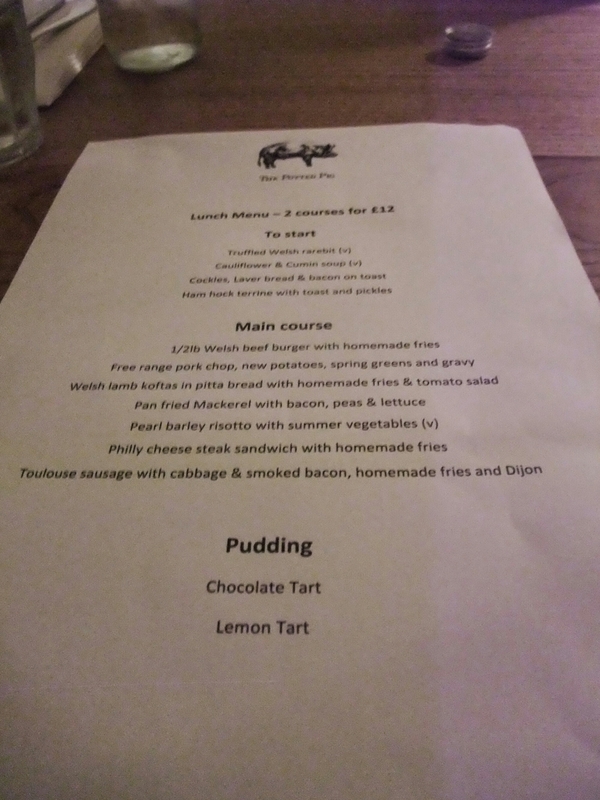 As indicated by the title the Potted Pig’s 2 course lunch is, in my opinion, pretty much a banker (in the traditional good sense rather than the more recent somewhat less flattering one) if you are looking for somewhere decent for lunch in Cardiff city centre. Would I go back? Good food, efficient service and reasonable value equates to a yes in my book. Attractive component to content. I just stumbled upon your blog and in accession capital to assert that I acquire actually enjoyed account your weblog posts. Any way I will be subscribing on your feeds or even I success you get entry to consistently rapidly. 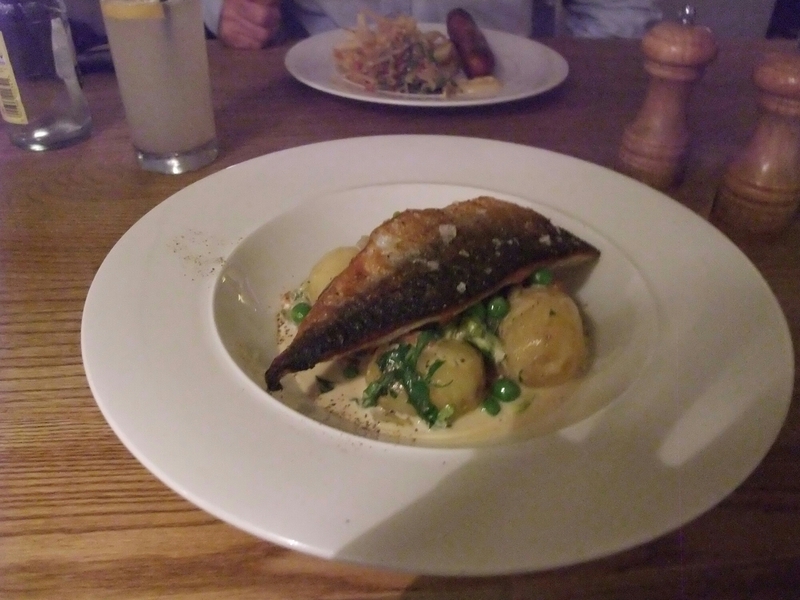 This entry was posted on Sep 7, 2014 by solicitingflavours in Cardiff, fish, Fixed Price Menu, Food, Food and wine products, lunchtime, Restaurant Review, sausages, Wales, Wine Merchant.